Our generation likes to vote with our dollars. And there’s no time when more dollars are being exchanged than the holiday season. Not coincidentally, it’s also the time when we create the most waste. 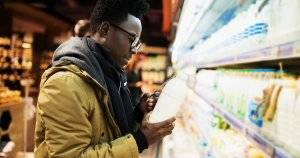 According to Stanford University, Americans throw away 25 percent more stuff between Thanksgiving and the New Year than any other time of the year. One of the forces behind the extra load on our landfills is also one of the most fun things about this time of year. 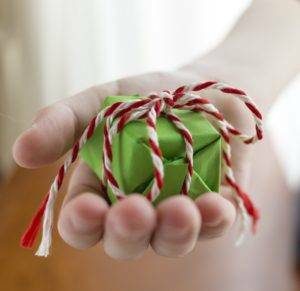 “Gift giving is one of the most loved parts of the holiday season, but it also creates a significant amount of waste,” said Sarah Hancock, a sustainability writer who blogs about solar energy for Best Company. It’s not just what we give, it’s also how we give it. Both our gifts and their wrappings contribute to the environmental impact of the holidays. Want to stay on Mother Nature’s nice list this year? Check out these tips from people who are out here doing it. When you’re choosing your gifts this year, think before you buy. Would something vintage or second-hand be just as good, if not better? Would an experience be even more exciting? 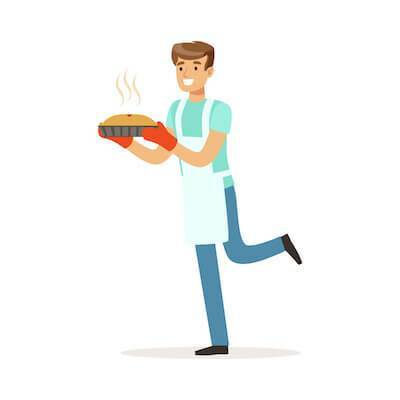 Bake something special for your neighbor, a loved one, local police or fire station or even a stranger. 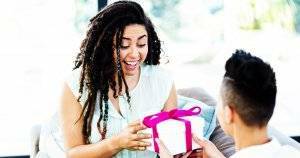 Giving an experience “avoids unnecessary gift packaging, the possibility of getting your giftee something they don’t need, or supporting a product that was made in an unethical and unsustainable way,” said Marina Qutab, a socially conscious entrepreneur and zero waste lifestyle expert. Here’s some inspiration as you write out your list. 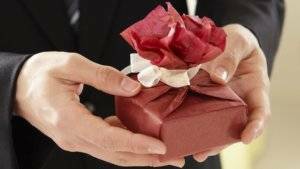 If you do want to give a physical gift, think twice about how you’re presenting it. 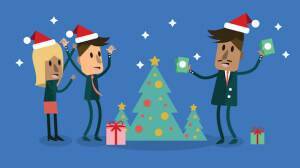 A lot of holiday waste comes from wrapping and packaging that’s used only once and thrown away. “Most mass-produced wrapping paper can’t be recycled due to the shiny coatings, foils and colors, and therefore usually ends up in a landfill,” Hancock said. You might have wrapped presents in the comics as a kid, and maybe it’s time to bring that back. 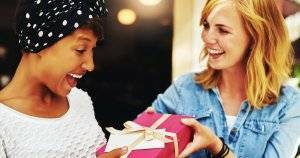 These green gift-givers offered their wrapping tips.